Another interesting potential quirk of the Aramaic language, specifically the Galilean dialect, may clear up a small source of confusion that presents itself between two of the Gospel accounts: The Sermon on the Mount (Matthew 5-7) and the Sermon on the Plain (Luke 6). 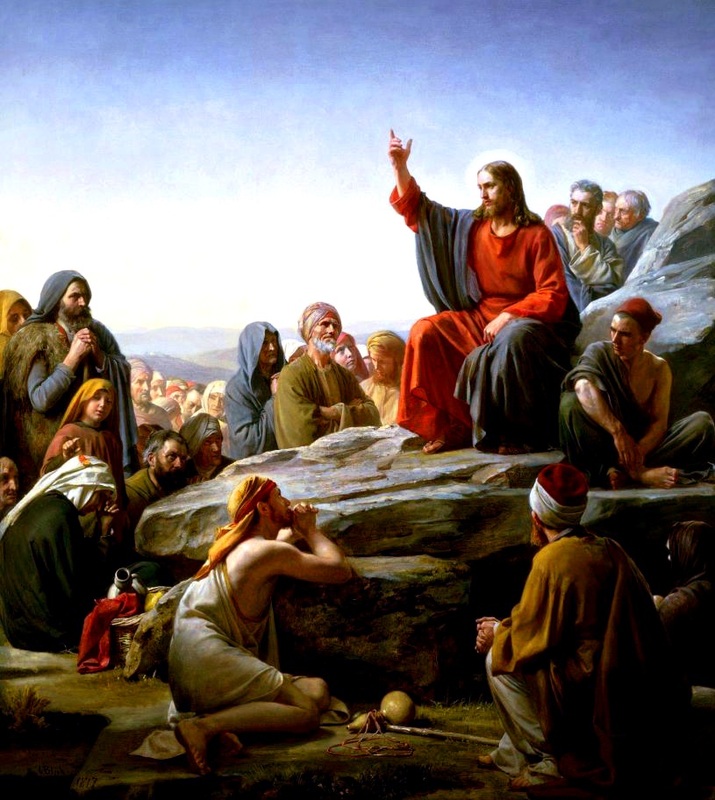 However, despite all of these parallels and similarities, one thing has always been puzzling and a matter of great contradiction: Why does Matthew say that the sermon was shared on a mountain (ὄρος = /oros/), where Luke says Jesus descended a mountain and shared his preaching on a plain (πεδινός = /pedinos/)? Aren’t those two things rather opposite, glaring details? As the early oral traditions circulated and were re-told many times before they were written down in the Gospels, this kind of confusion could have happened readily. Galilean Aramaic speakers (who were among the first of Jesus’ followers) might not have caught the distinction without context, and once the story was translated into another dialect of Aramaic, or even another language such as Koine Greek (which is what the New Testament was compiled in) the sense in that telling was codified. Matthew might have also been drawing a parallel to Moses receiving the ‘Torah’ on Mount Sinai, only now it Jesus giving the proper messianic interpretation of the ‘Torah’. The word play between plain/mount (taurah) and ‘Torah’ may have been irresistible to him or one of his sources, especially since the ‘waw’ could have either a w, o, or u sound. This is amazing, I love reading more about this. As an Assyrian I relate and undrestand every word you were saying. In modern-Syriac the field is “Deshta” and Toura is mountain, but it’s so interesitng to know that in Galilian “Tourah” could mean both Mountain & Field. Words for ‘mountain’ in the world’s languages often mean something else as well: in Khmer ‘mountain’ and ‘forest’ are the same word, and monte can mean ‘forest’ in Spanish place names. There are other examples in Buck’s Dictionary of Selected Synonyms, but I don’ t have it to hand.